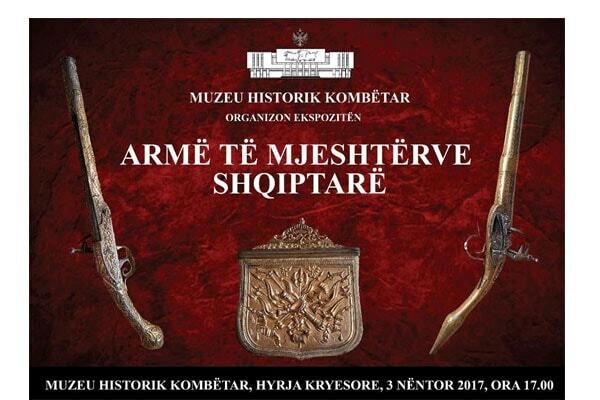 The National History Museum, from November 3 to November 13, 2017, organizes the exhibition entitled "Weapons of Albanian Masters". The exhibition is organized for the 105th anniversary of the proclamation of Independence of Albania and contains 47 weapons. Weapons are also illustrated with photos and demonstrate the artistic work of Albanian that were master in crafting and decorating weapons. Their weapons were made of silver, but also of gold.